Life is not supposed to be confined to one place and living in an N1 council estate, I sometimes long to move on and write about something new. If that turns out to be case, then it certainly won’t be in Arnold Circus, but you’ll have to keep reading to find out why. This place I prefer to keep to myself. Until then I hereby present a re-published story about a fairytale council estate in Shoreditch. For most Londoners I know, the term ‘ex-council’ is a pejorative expressed with a wry shrug. Cheek by jowl people live in council estates under the loving supervision of private landlords. It’s a necessity rather than a choice, and if you don’t like it, then move to Leeds. Everyone dreams about their ideal home and as a self-declared dreamer and social climber, I’d love a two-bedroom flat in Arnold Circus. 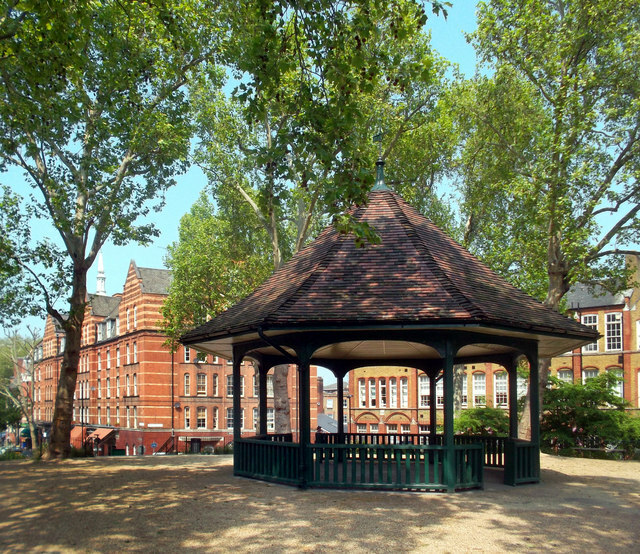 Designed by Victorian philanthropists for the respectful working-classes, Arnold Circus is one of the most beautiful council estates in England. 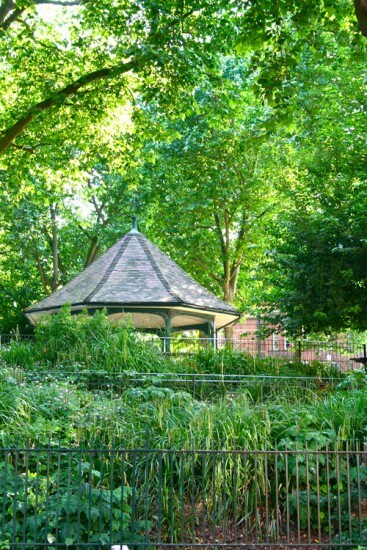 With its red brick tenements individually named after villages on the River Thames and connected by leafy boulevards that extend from a central communal bandstand, Arnold Circus is like a painting fashioned from the rubble of dismantled slums. This Victorian model village has a fairytale quality that surpasses anything you may find in richer neighbourhoods. What is inspiring is how street design and architecture can improve people’s lives. It’s like every footstep you make has been accounted for on a map. 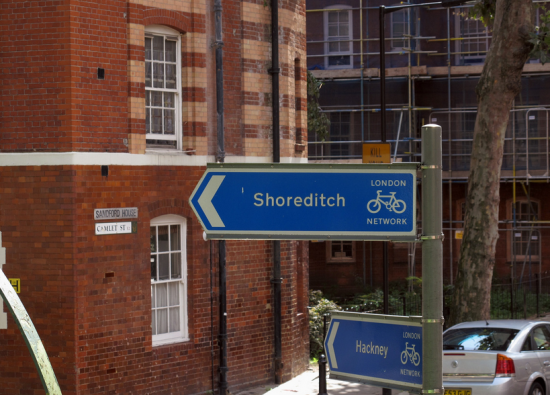 Home to thousands of social tenants and a few private professionals, I will never rent, let alone, own a flat in Arnold Circus. 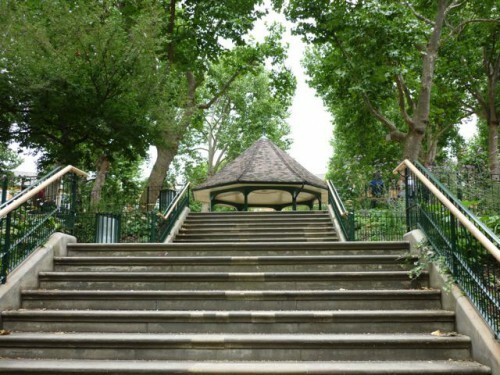 But for while I still live in East London it will remain my favourite conduit – a gateway to better things. With the rich green canopies sheltering bourgeois dog walkers and teen gangs, it feels like my footsteps become brush strokes whenever I walk through here. Like I’m subconsciously taking part in someone else’s painting. A snapshot of consciousness amidst the overgrown ferns and rising Plane trees. Arnold Circus is a bona fide masterpiece in urban planning, and all I am is a passing visitor, a solitary figure traversing on foot.